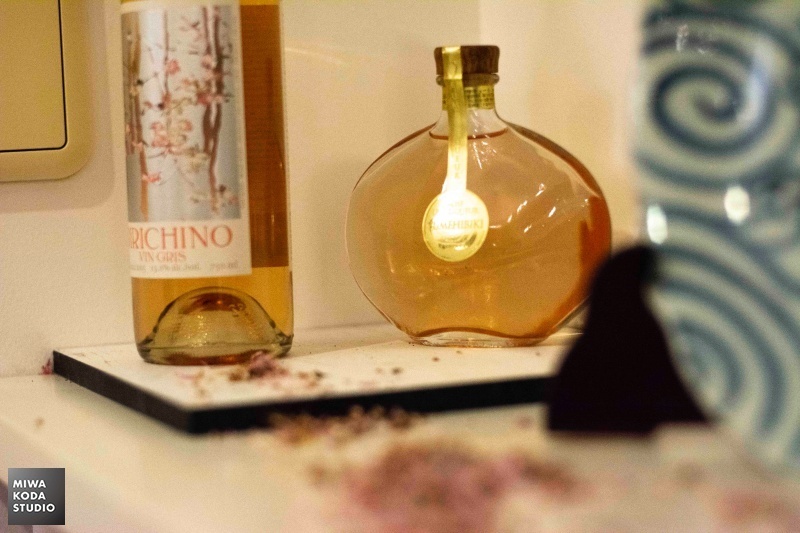 The drink for Spring Modern table is also SAKURA. 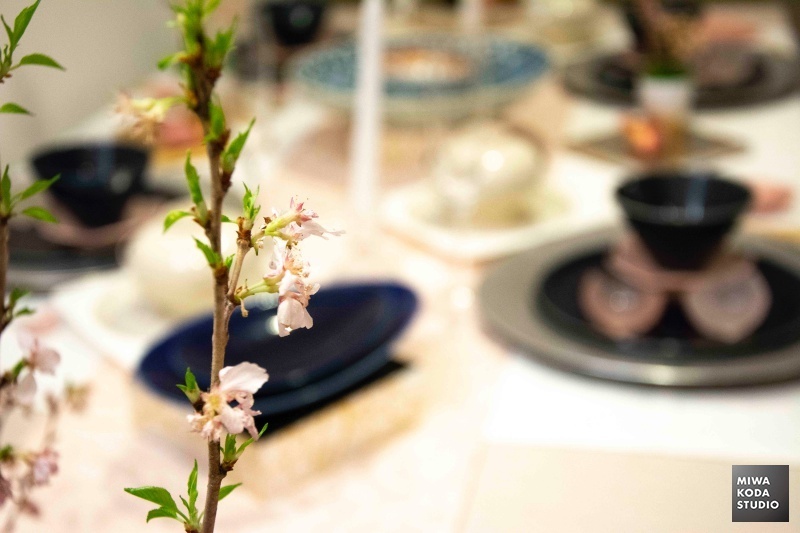 On the Spring Modern Table, the real SAKURA was decorated. 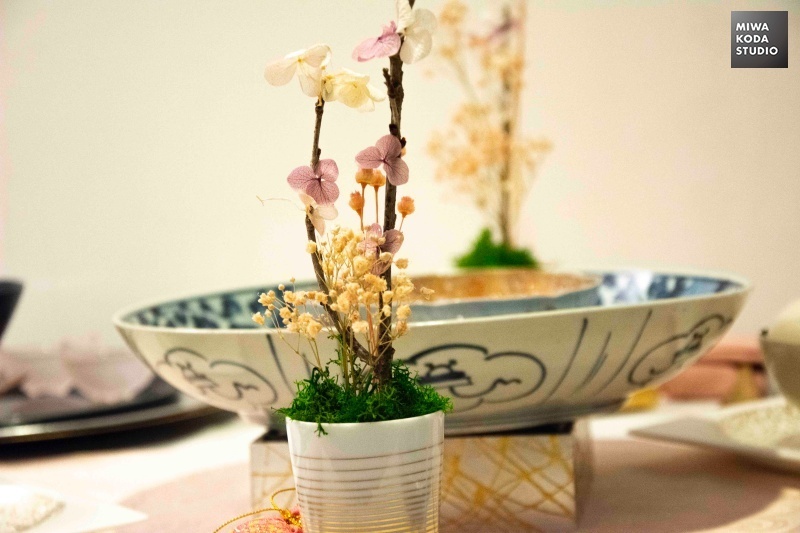 for Spring Japanese Morden Table. 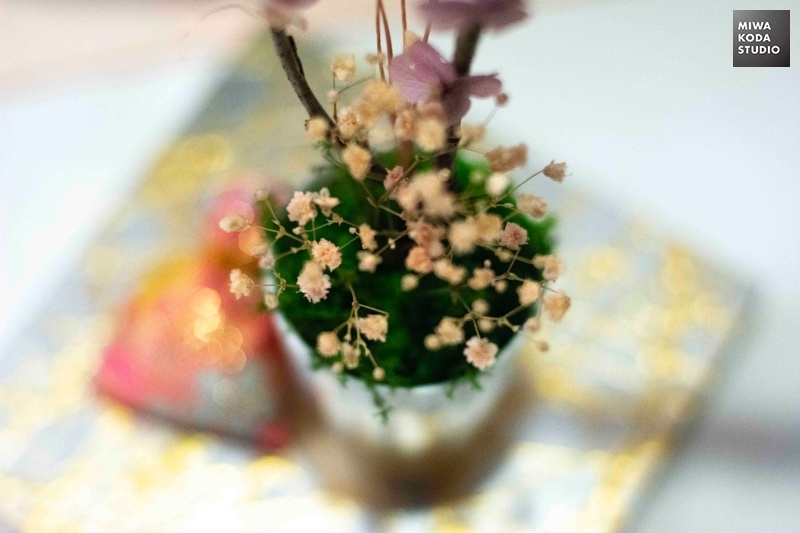 A flower bonsai was made for the spring modern table. 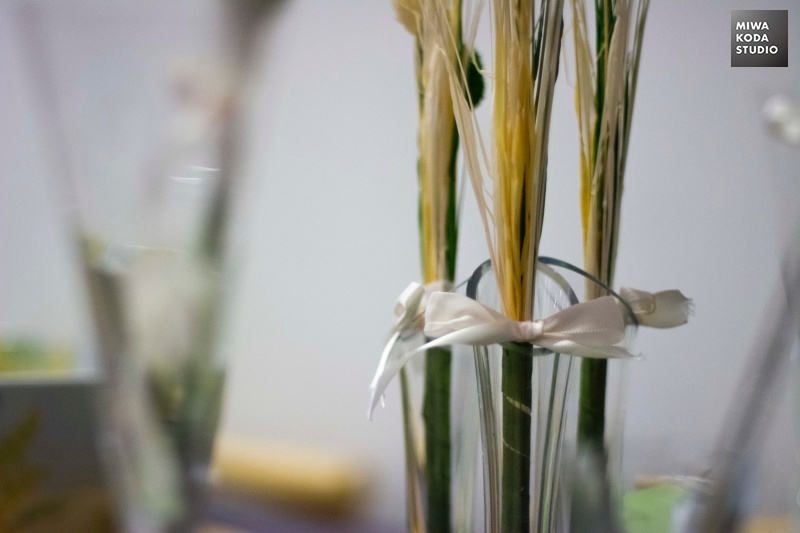 To decorate simple stems, white ribbon plays an important role. 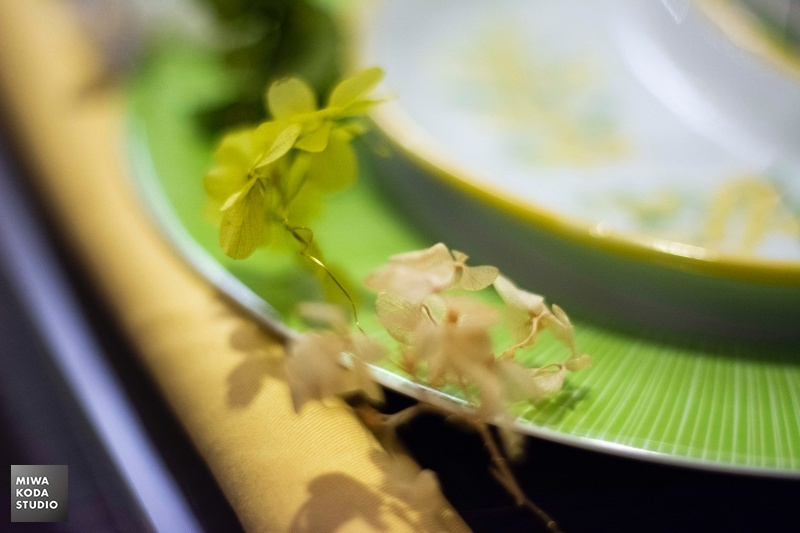 There is a garland along with napkin. 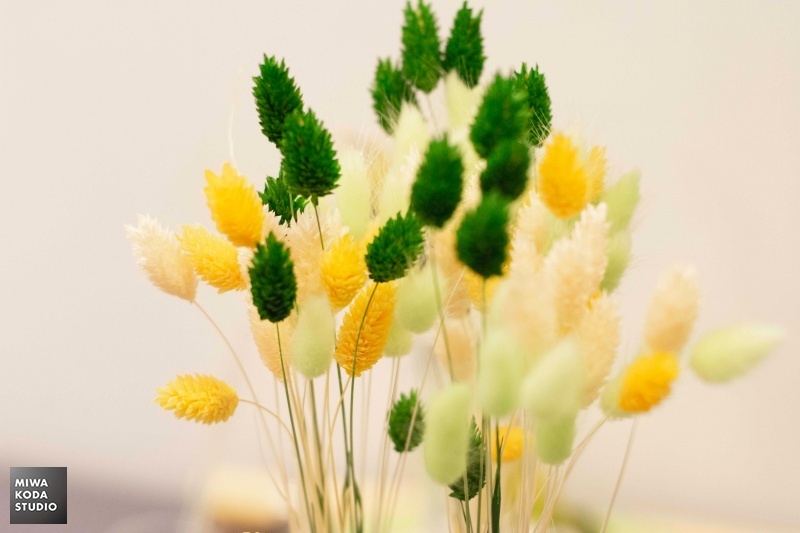 The flowers are mainly used natural color including green, ivory and yellow. 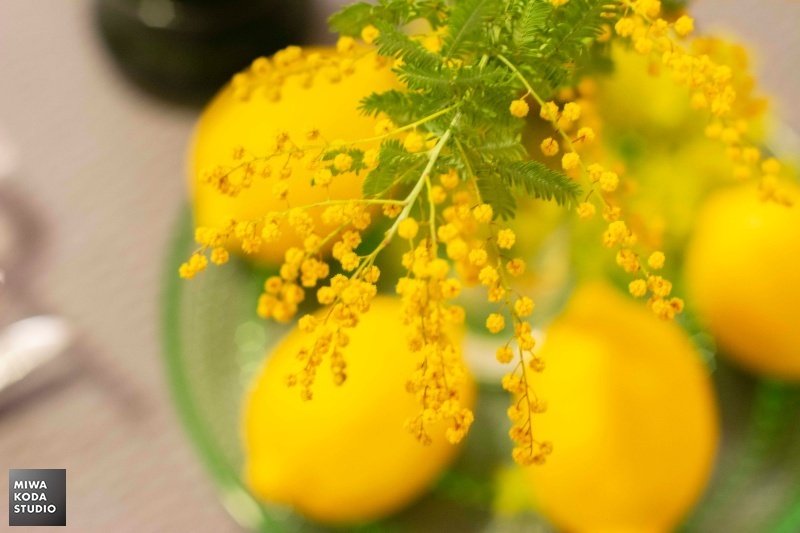 There are lemons along with MIMOSA. 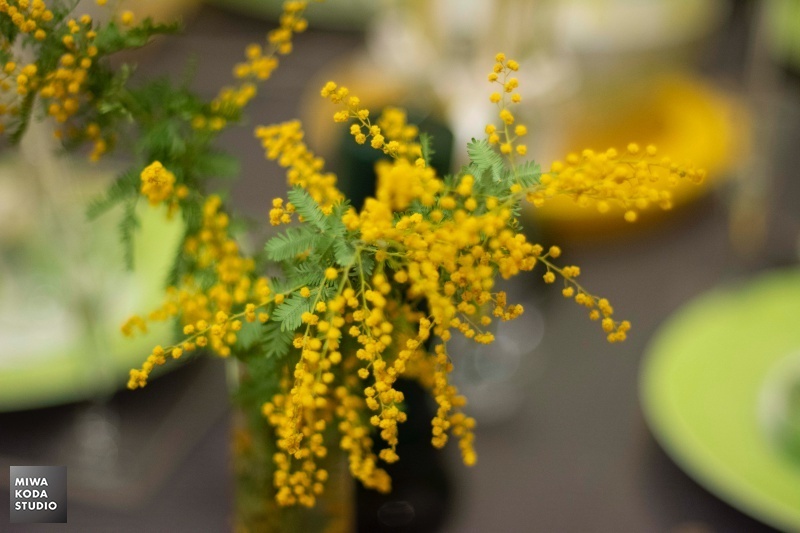 The flower for the table of "MIMOSA!" is MIMOSA! 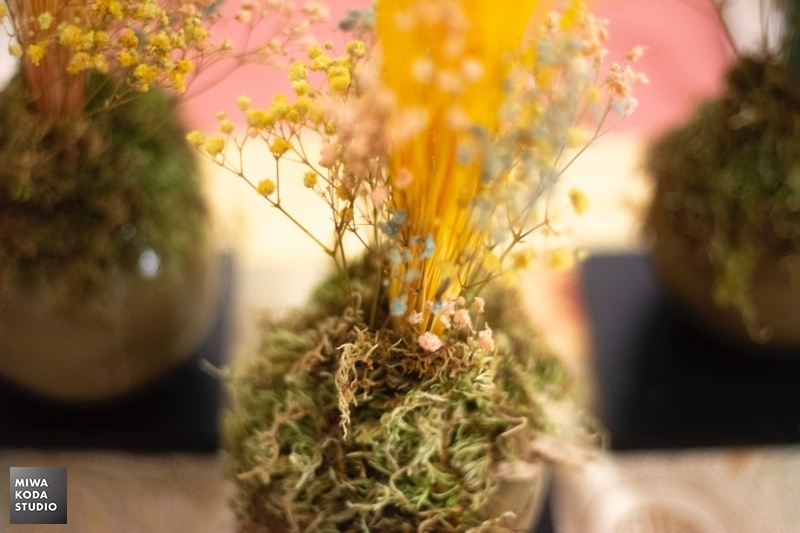 For the arrangement of Japanese Modern Table, the dry moss was used.